Last week I read a tweet from a UK-based HVACR business asking its followers if they knew of any marketing consultants/agencies who specialise in the air conditioning and refrigeration industry. 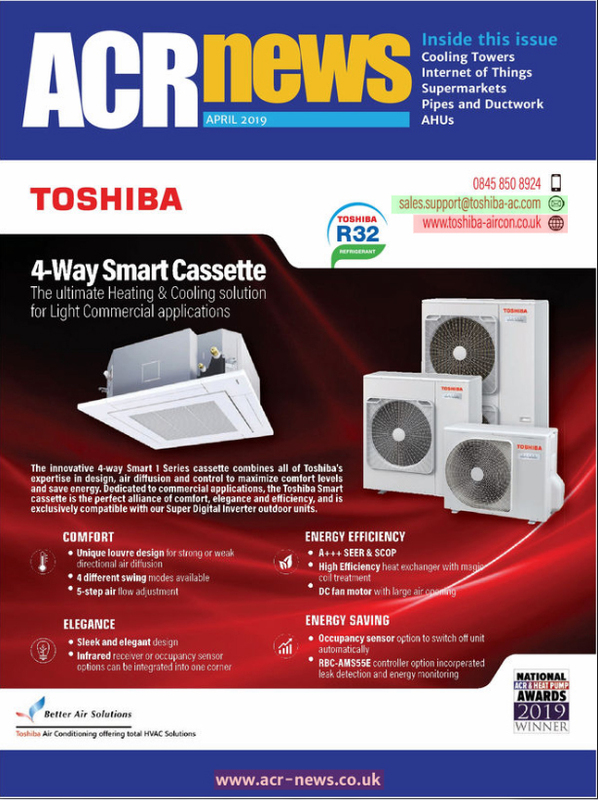 In recent months I have come across a lot of HVACR businesses with similar questions and so I decided, with the help of ACR News, to create this blog. Each month (or as often as I can) I will be sharing a new post to help HVACR and Electrical contractors across the UK make the most of their marketing. I will show you how to make a big impact on a small budget, drive leads and most importantly how to attract new business online. Before I dive head first into the technicalities of online marketing, I thought it would be a good idea to highlight the importance of digital marketing in general. Unlike twenty years ago, when the average person looking for a technical service, be it a plumber, electrician or HVAC installer would turn to the Yellow Pages for answers, today’s consumers turn to the internet. Even those business owners who would consider themselves ‘old school’ will sooner or later, for better or worse, be forced to take the digital plunge. If you think I’m wrong, take a trip to your local pub or shopping centre. Meeting a friend for a pint can often feel more like an opportunity to sip beer in silence for an hour – not because we have nothing to talk about, but because many of my friends seem totally, completely infatuated with their smart phones. The digital phenomenon isn’t exclusive to the young either, with around 50% of all adults 65 and over using social networks (according to Pew Research Center). To begin, here are some basic tips. This may seem like an obvious tactic, but you may (or may not) be surprised at the number of companies using a personal or generic email address to manage their business online. To compete in a saturated online market it is vital your business conveys a professional, serious image. For example, when I perform a simple Google search for HVAC installers in Surrey, it returns 63,100 results. A generic email address such as yourname@gmail.com or even yourbusiness@gmail.com is unlikely to scream ‘professional’ to a consumer in the market for a product they likely know very little about. Online decisions are based on trust and the availability of information and so ensuring your business carries weight and influence is important. A custom domain email address is one of the simplest ways to do this and will increase the likelihood of an enquiry. Hint: before you can set-up a custom domain email address, you will need to purchase a custom domain name. There are many domain providers to choose from but I recommend 123 Reg: www.123-reg.co.uk. Try and find a domain name as close to your business name as possible. Before an internet user locates your company contact details (email address or telephone number), they are likely to visit your company website – at least they will if you own one! Creating a website doesn’t have to be expensive or complicated anymore. The growth of the internet has given rise to a number of DIY website builders such as WordPress, Go-Daddy and Wix. All too often I stumble across a business without a website. Instead I’m directed to a company listing on yell.co.uk or a similar directory. These listings are often missing vital information such as an email address or contact telephone number, but most importantly, they give very little information about a business and the services on offer. You, yourself, probably use Search Engines frequently to get information about businesses that provide products or services that you need. Everybody does… but if you have no website to tell your story, they won’t find you! Firstly, it’s important to identify what I mean when I refer to a ‘single page’ website. Unlike a traditional website made up of multiple pages, a single page website condenses an entire website into… well, one page. You may have come across a ‘single’ or ‘one page’ website without realising it. They are often used to promote a specific product, giving a user enough information to make a decision whilst maintaining an uncluttered look and feel. A popular feature of a ‘single’ or ‘one page’ website is a scroll function. Similar to a traditional website a ‘single page’ website may include a menu (e.g. about us, our approach, products, contact us), but instead of taking a user to an entirely new page, once clicked the site will scroll until that section is visible. This helps novice marketers and small businesses in two ways. Firstly, the content is short, sharp and easy to manage and secondly, single page websites also look awesome! Here’s an example of a great ‘single page’ website from builtthings.com. If you have any specific marketing challenges you are facing, comment below and I will use these to tailor my posts to help as many of you as I can.